Traveling light makes your entire life and travel experience so much easier. Lose the stress, lose the weight, lose the burden. Travel light and save your sanity! I love carrying just one small bag. First of all, you’re physically carrying less weight around. This is, of course, easier to do than carrying multiple heavy bags, especially when you find yourself running down the street to catch a bus, train or plane. Less weight is easier on your mind and your body. And, second, forcing yourself to go minimal with your bag forces you to cut out the extra crap. Don't be a victim of overpacking. Only take the essentials. Definitely don't take anything disposable. And, don't go overboard with gadgets. These are often the heaviest things you'll be lugging around. You can almost always live on less than you think. See how I travel in 11 pounds, my minimalist packing list, the 40 things i own, my bag, and how I lived with just one device. With only one bag, you can always keep it on you or near you. You can always keep your eye on it, so there’s less chance of theft or damage, as opposed to multiple things that you can’t watch simultaneously. 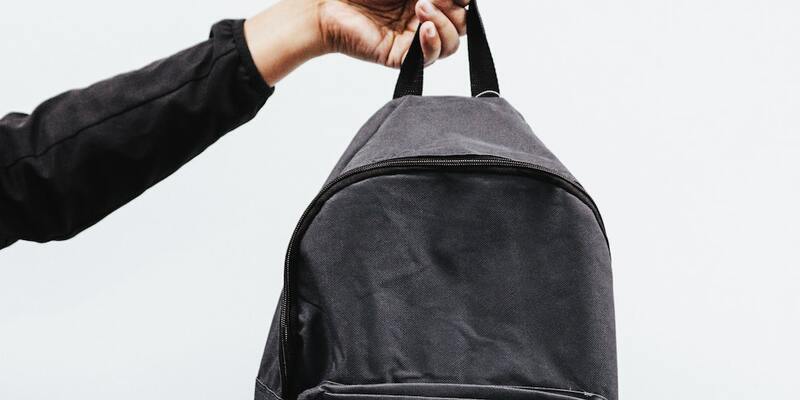 You can also easily keep one bag on you or on your lap, instead of on the floor, or the darn overhead bins or luggage racks, where it could easily be swiped without you noticing. And, you'll blend in with the locals more easily. Don't live in a constant state of worry. Go lighter, safer, and ease your mind. Be a better traveler. Travel carry-on only and you won’t have to check your bags, so you’ll never pay fees for checked bags or extra carryon allowances. Why give more money to the airline? Silliness! You’ll save so much time when you only have one one bag to worry about. You only have to pack one bag, so you can pack faster and easier because you won’t have a lot of stuff in it anyways. You can skip the airport bag checkin and go right to your gate. And, you can breeze past the luggage carousels on your way out, too. Let everyone else spend an hour waiting for their battered suitcases and you can be the first one out to catch the next taxi or bus or train before the crowds come. Don't make your luggage your own personal ball and chain to drag around. The less you have to carry with you, the more you're free to walk around, and be as spontaneous and adventurous as you want. I can easily go on an impromptu hike, have a drink at a bar, or even go on a tour with my one small bag, but people lugging around multiple bags or wheeled luggage can't. The stuff they own ends up owning them. Stay light. Be free!